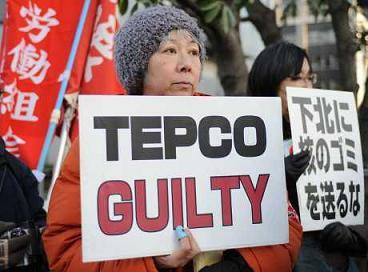 Three former executives from the Fukushima nuclear plant that exploded and spewed radiation will be indicted over the 2011 accident, a judicial review panel decided today. It would be the first criminal trial linked to the disaster. The decision comes after prosecutors twice refused to press charges, saying they had insufficient evidence and little chance of conviction. But the independent panel ruled that the executives should be put on trial, compelling prosecutors to press on with the criminal case under Japanese law. The decision is the latest in a tussle between legal authorities and the public over who should take responsibility for the reactor meltdowns that forced tens of thousands from their homes in the worst nuclear accident since Chernobyl. The trio are former Tokyo Electric Power chairman Tsunehisa Katsumata, then-vice president Sakae Muto and former vice president Ichiro Takekuro. “The victims have wanted a criminal trial given the anger and grief'' over the accident, Ruiko Muto, a campaigner who called for charges, told reporters. The judicial panel is composed of ordinary citizens. A parliamentary report has said Fukushima was a man-made disaster caused by Japan's culture of “reflexive obedience,’’ but no one has been punished criminally. An angry public has increasingly pointed to cosy ties among the government, regulators and nuclear operators that have allegedly insulated executives of the plant operator Tokyo Electric Power (TEPCO) from being charged. Although the March 11 earthquake and tsunami killed 18,000 people, the nuclear disaster it caused is not officially recorded as having directly killed anyone. The most lasting health impact of the Fukushima nuclear disaster will likely be psychological not physical, according to a trio of studies published today in The Lancet. The judicial review panel issued the same ruling in July last year, hailed by thousands of plaintiffs who demanded charges be laid.